This is a brilliant opportunity to join a switchgear company with over 30 years experience in the power industry. They are looking to grow and develop the successful candidate into a highly skilled HV service & commissioning Engineer with modern management capabilities. If you have hands on service experience with HV or LV switchgear maintenance, service, installation or commissioning up to 11kv applications are warmly welcomed. This is a brilliant opportunity to join a switchgear company with over 30 years experience in the power industry. They are looking to grow and develop the successful candidate into a highly skilled HV service Engineer with modern management capabilities. If you have hands on service experience with HV or LV switchgear maintenance & installation up to 11kv and have spent time dealing with documentation applications are warmly welcomed. Reporting to the Contracts manager you will be engaged in project work based on site, in the workshop and occasionally in the field. Having a desire to learn and develop professionally will be key to this role as there is the opportunity to become a lead commissioning engineer. This work will involve providing hands on technical expertise in order to carry out testing, commissioning, maintenance and repair of switchgear and HV or LV equipment up to 11kV. This work will be carried out as part of a team of service engineers. This will involve both new and old equipment such as air, oil and vacuum circuit breakers and panels. You will also work on protection upgrades and installation of company products in the field. Part of the role also includes assisting with documentation. Test reports, risk statements and method statements will be carried out and handover certificates completed. Safety is of the highest importance in the power industry and H&S compliance will be an important aspect of your role. This role is ideal for someone wanting to develop experience and develop the capabilities to become a lead commissioning engineer. The responsibilities that come with this include gaining experience in stock control, internal auditing and site reports, all of which training can be provided for. Candidates for this role will need to be apprentice trained and have some experience in working with electrical equipment and/or switchgear up to 11kV. Having some qualifications to reflect this (C&G level 3/NVQ Level 3, HNC) is necessary. On the job training will be provided and external where necessary but a good grounding and base knowledge of switchgear and HV or LV systems would be ideal. A grade C or above in GCSE Maths is also required. Our client is a HV switchgear manufacturer & distributor with over 30 years experience in the power industry that takes pride in the products and services they provides to customers. The company is looking for people who can display enthusiasm and a desire to progress with the organisation. £27,000 (the right candidate could be higher) + OT + Progression Opportunity to lead commissioning engineer. 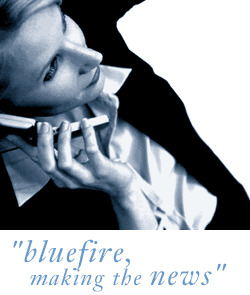 Bluefire consulting is an engineering employment agency acting on behalf of the client company.